All businesses have unique situations and challenges – but with our collective experience at Partners 31, we can help you solve those challenges! The next step is to apply for a Get FIT Business Strategy Session. During this session, one of our Partners will dig in a little deeper and evaluate your business. We’ll re-energize your sense of purpose and mission with your business. What’s the best time of day/day of the week to contact you? What does your company offer to the marketplace? How does it do this uniquely? What’s a “shining moment” in your company’s history? What do you believe to be the #1 hurdle your company currently faces? 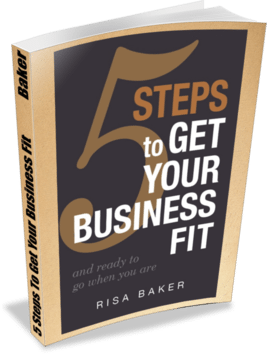 5 Steps to Get Your Business Fit is a quick-to-read guide packed with clear-cut advice addressing: Increasing value and decreasing risk, identifying and defining your goals and objectives, planning for success, important value drivers and the differences between growing a healthy vs. an unhealthy business. © 2018, Partners 31. All Rights Reserved.